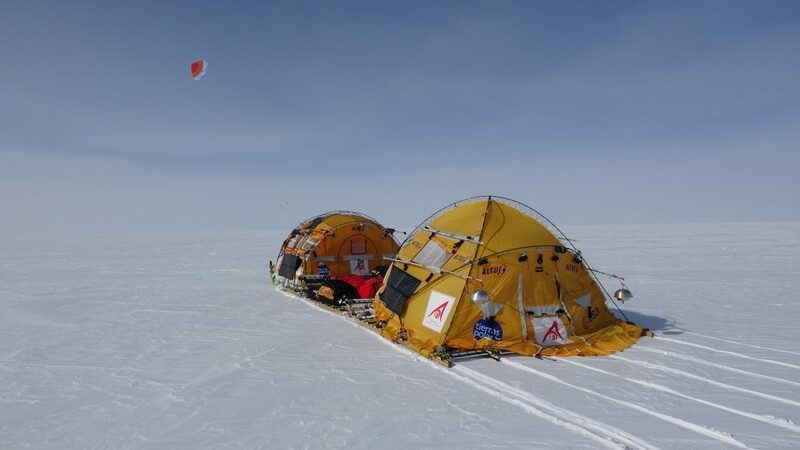 In December 2018, a four-man team set off into the remotest region of Antarctica on a wind-powered sled. Over eight weeks they covered 2,500 km, undertaking scientific research and testing the vehicle to its limits. We spoke to the team leader, Ramón Larramendi, about the experience. Imagine a place so remote that in more than two months travelling through you don’t see another living creature beyond your companions, not a single bird or animal. You are one of just a tiny number of people to have explored the region, in the midst of an immense frozen desert. For 18 hours a day you hurtle along, covering over 2,500 km at speeds of up to 60 km per hour. You reach altitudes of over 3,700 m and face temperatures which regularly dip to -35° or -40°C. In spite of the vastness that surrounds you, you are confined for 18 hours a day to an area of just a few square metres. Why? Because you are travelling on WindSled, an 11-metre-long wind-powered articulated sled, of course! 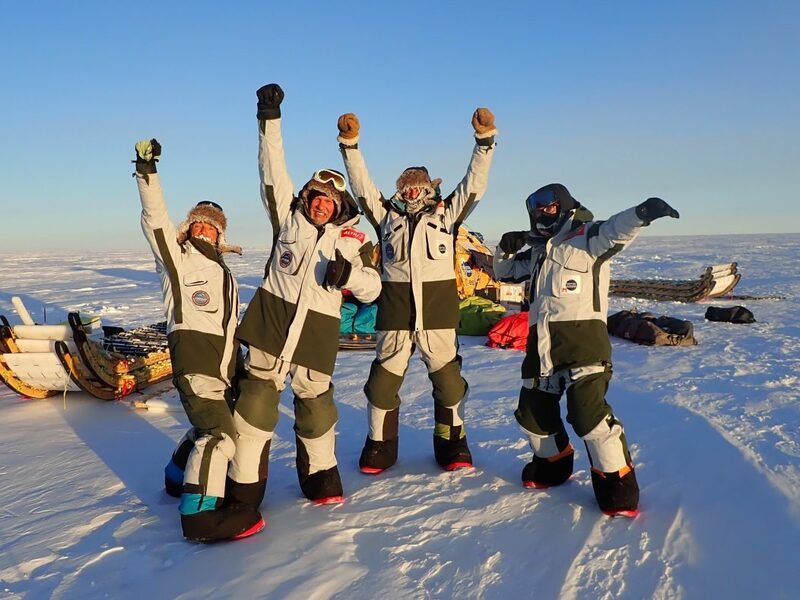 After 52 days travelling through one of the least-known and least-explored areas of Antarctica on WindSled, the four-man team (comprising team-leader Ramón Larramendi, Ignacio Oficialdegui, Manuel Olivera and Hilo Moreno) have successfully completed their ‘Antarctica Unexplored Dome Fuji’ expedition. 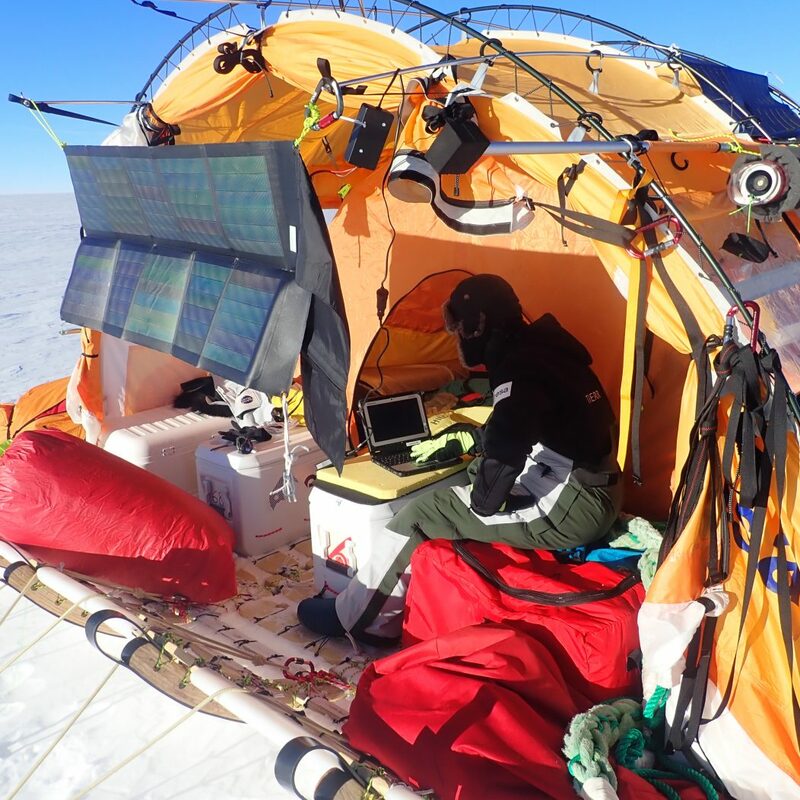 The expedition took them to some of the most remote terrain on Earth. Ramón recalls reaching Plateau Station, an abandoned American base that has only been visited twice in the last 50 years. 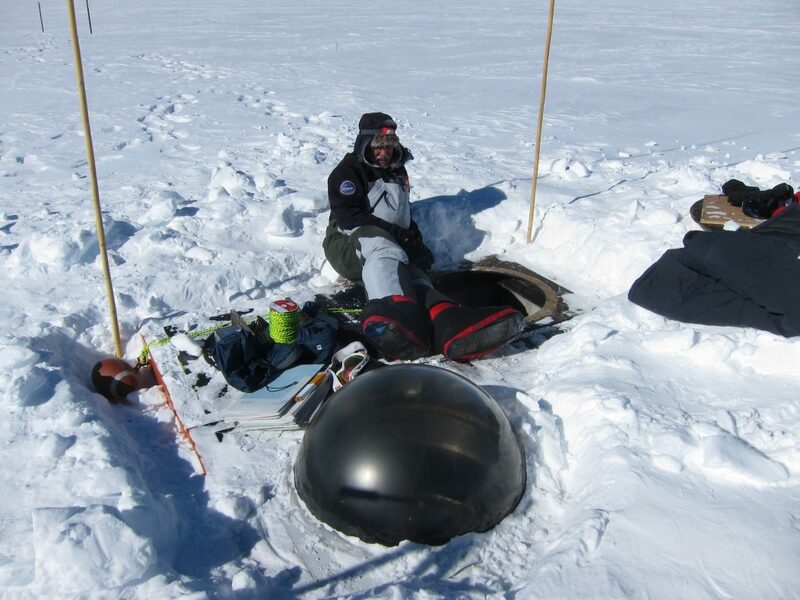 Temperatures below ground were a chilly -50°C, compared to a relatively manageable -35°C on the surface. The greatest challenge for the team was wind, or lack of it. At 3,700m altitude the wind could drop and a frustrating wait for the wind to pick up would follow. But overall the wind was good, and on the day they went through Dome Fuji, the sled covered nearly 250 km, the longest distance in a single day. Days on the sled were long. Wind permitting, the sled was in motion for 18 hours in every 24. Each two-man team did a 9-hour shift driving while the other team slept. Unsurprisingly, sleep proved difficult in a moving sled. At almost 11 metres long, the sled is very big, and the noise and friction created by the six runners passing over the ground was considerable. Living in such close quarters, with no privacy, and dealing with sleep deprivation would test the character of any team. Ramón is clear that much of the success of the expedition was down to having an experienced team of calm, even-tempered and unflappable types, who had all worked together previously. Mental collapse was not an option. The WindSled project stems from Ramón’s love of a challenge. 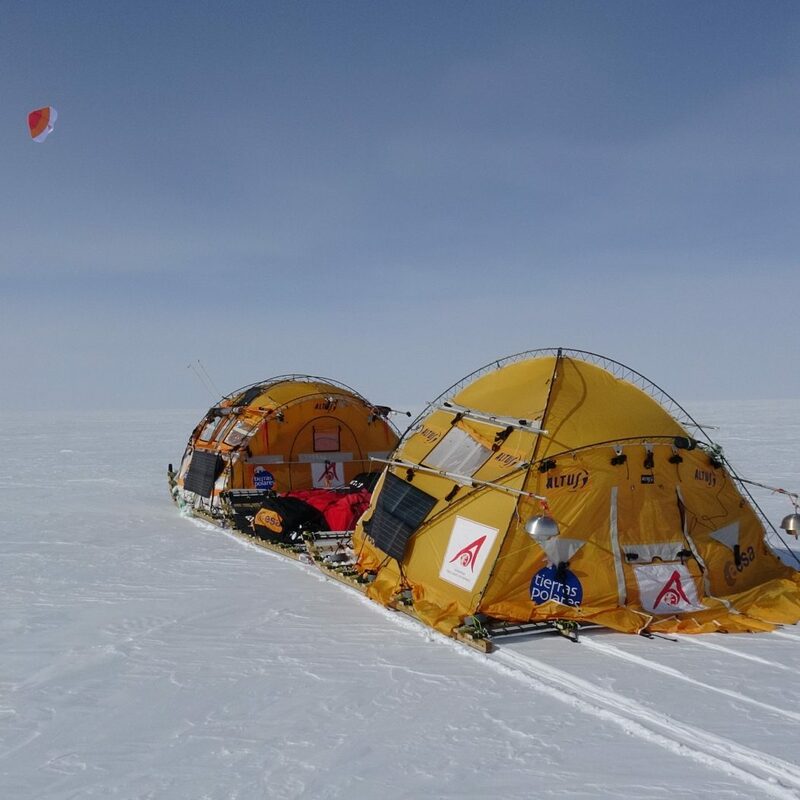 What started out as a personal challenge, about the adventure – would it be possible to cross Antarctica and reach the South Pole in a wind-powered vehicle? – has become something bigger: finding applications for the technology and demonstrating that WindSled is a viable system for scientific exploration. 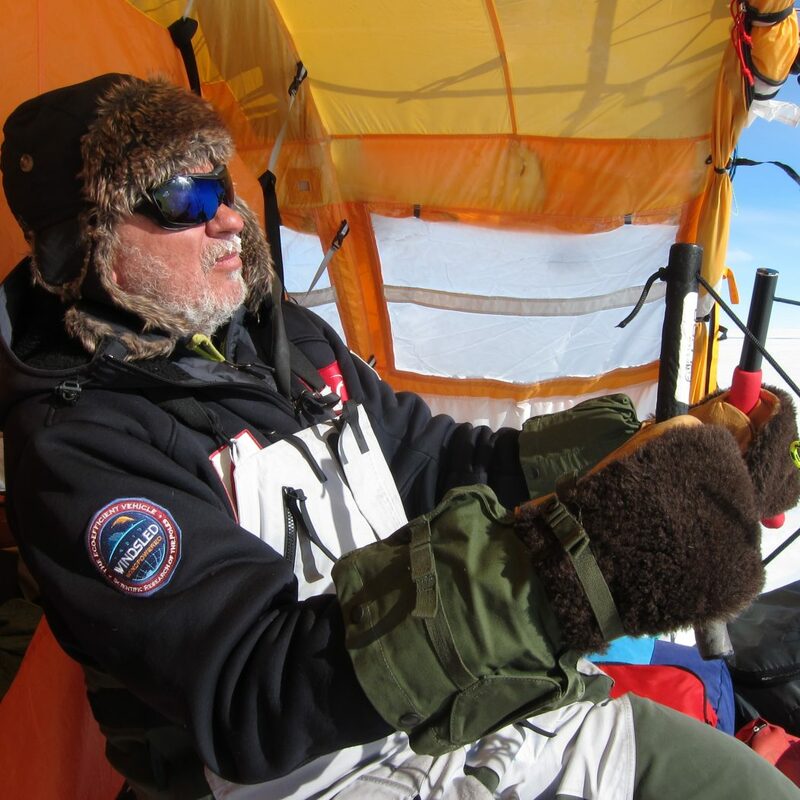 In WindSled Ramón hopes his 35 years of experience in the Arctic and with the Inuit can benefit society somehow. The potential benefits are significant. In an age where the environmental impact of what we do is paramount, WindSled offers zero emissions. Not only are the expeditions themselves minimum impact, but so too are the production of the sled – a simple but versatile structure, using low-cost, sustainable materials – and its straightforward transportation to Antarctica. The scientific instrumentation and computers on board the mobile laboratory are powered by photovoltaic panels. Ramón hopes that WindSled could herald a new era of light, cheap research. Projects that are currently not possible, due to the complicated logistics of exploring the interior of Antarctica, will become viable thanks to the low cost and logistical simplicity of WindSled. 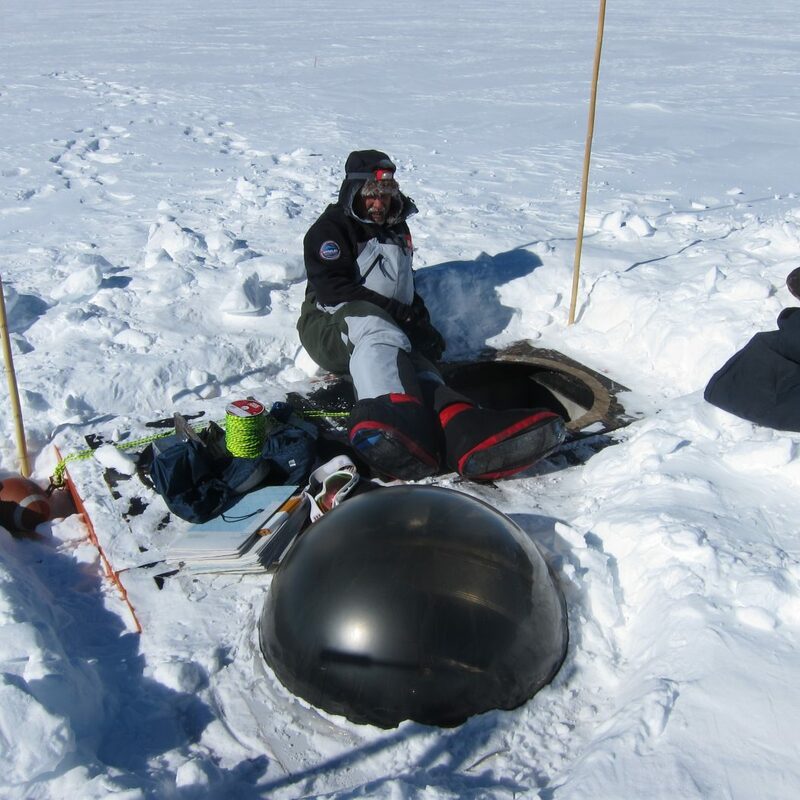 It is highly versatile and adaptable – depending on the needs of the expedition, you can build a light two-person sled for shorter distances, or a much larger sled, capable of carrying large amounts of scientific equipment. The full scope of its application is still to be tested, but with this most recent trip the team showed that a sled transporting 3 tonnes up to is perfectly possible, and perhaps more. Of course, WindSled also has its limitations. One of the big challenges of travelling in a wind-powered sled is that you can’t just follow a ‘there-and-back’ route – unlike a sailboat, WindSled can’t sail into the wind. Given that, the crew had to study Antarctic wind patterns carefully and create a circular route. By going around a high point on Dome Fuji, they were able to use the changing contour lines, which affect the wind direction, to bend their course around and direct the sled back to their starting point. 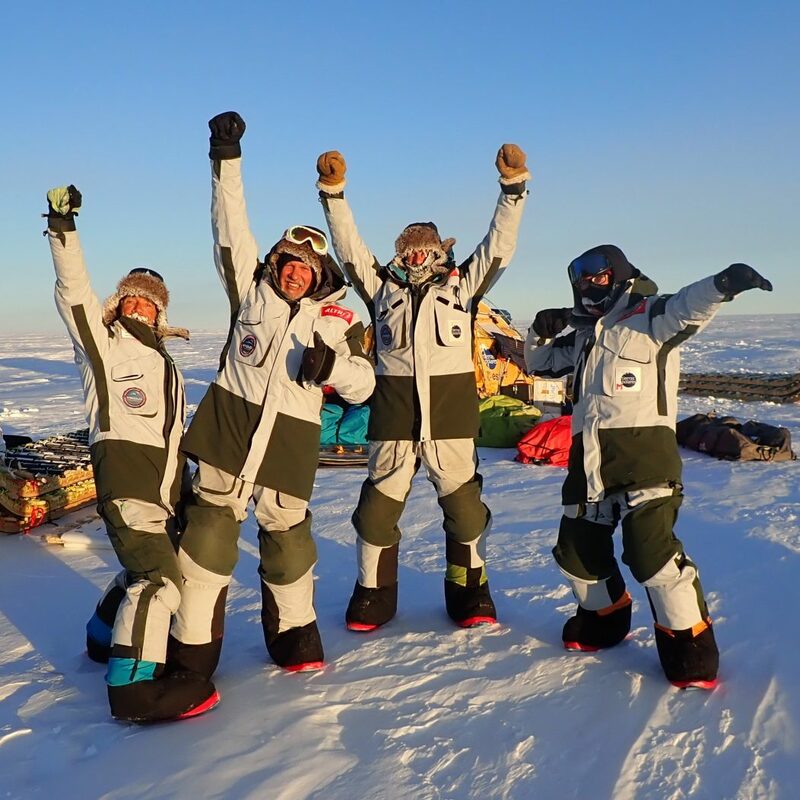 The biggest obstacle for future expeditions is getting qualified drivers – it is a very technical vehicle to drive and at least two people in the sled need to be highly qualified. There is also the challenge of getting people to adopt it. To this end, last year Ramón gave a lecture at COMNAP (Council of Managers of National Antarctic Programs), which generated much interest. He is also currently engaged in discussions with the Spanish Minister of Science and is hopeful that WindSled will be incorporated into the Spanish national science program in some way. Going forward, Ramón hopes there will be more Antarctic expeditions, more scientific experiments, further development of the system. The immediate future, however, holds the promise of “quietness and routine”, something Ramón clearly relishes after the last few months. And no doubt his wife and family are relieved to hear that…! 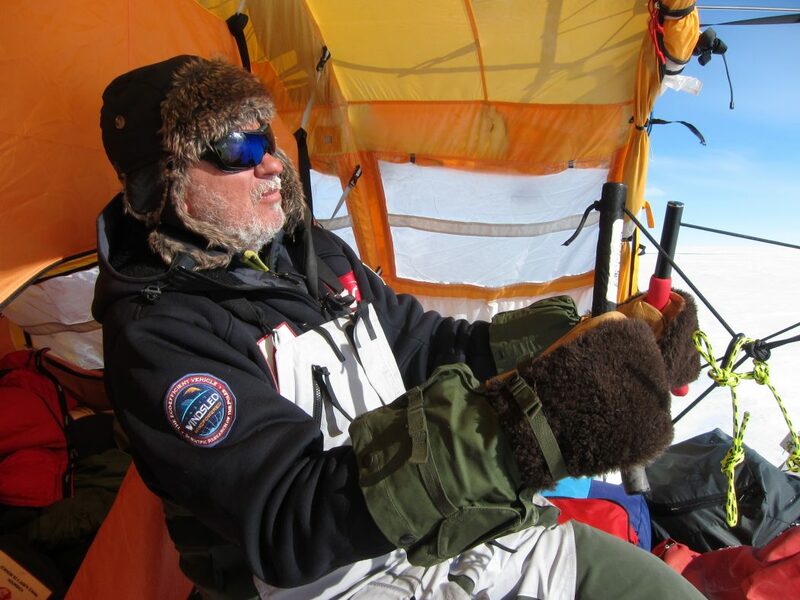 Ramón Hernando de Larramendi is undoubtedly one of the great polar explorers of recent times. His many achievements include the first circumnavigation of the Iberian Peninsula by kayak, reaching the North Pole first on skis and then in a hard foot crossing, travelling from Greenland to Alaska using only dogsled and kayak (an epic three-year challenge). 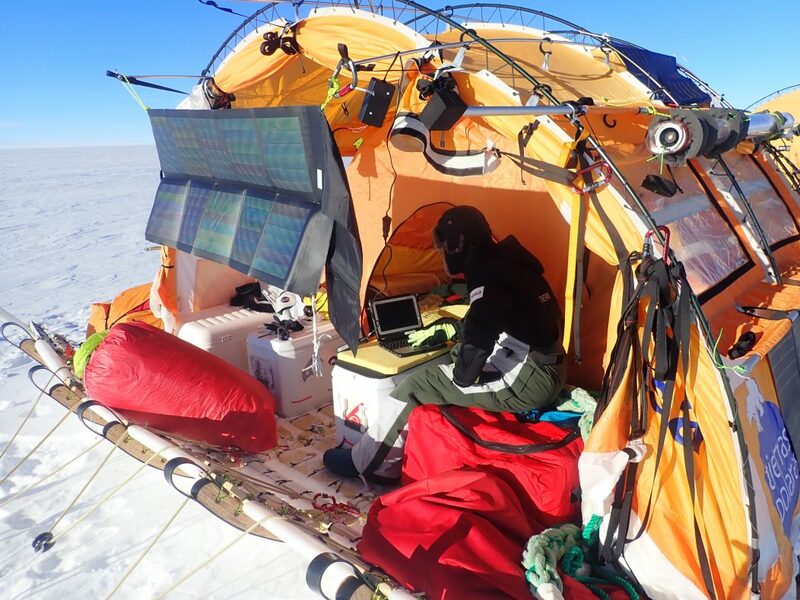 With WindSled, a zero-emissions wind-powered sled for scientific research in the polar regions which he designed, he has undertaken expeditions in the interior of Greenland, to the South Pole, and most recently to Dome Fuji in a largely unexplored region of Antarctica.